Nov. 1, 2018 | It is with a heavy heart that we let you know of the passing of the college’s dear friend and colleague, Mr. Terry J. DuBose. Terry passed away at his home in Austin, Texas, on Monday afternoon after a lengthy illness. 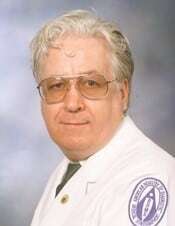 Terry served as the director of the Division of Diagnostic Medical Sonography in the Department of Imaging and Radiation Sciences from 1996 until his retirement in 2010. He was instrumental in furthering the profession of sonography in Arkansas by developing the only baccalaureate educational program for diagnostic sonography which has produced hundreds of medical sonographers for the state. Terry was recognized nationally and internationally for his contributions to the profession, including receiving the highest award of Distinguished Sonographer from the American Institute of Ultrasound in Medicine. Upon his retirement, he was recognized for his many contributions to the DMS program and profession by being awarded the rank of Associate Professor emeritus of Diagnostic Medical Sonography. Don’t want to donate online? Download a Gift Deposit Form using the button below. The proper account information is already completed for you. For any giving questions, the phone number to the Advancement Office is (501) 686-8200.